I used to hate wearing sunglasses because they never fit my Asian face with my nonexistent nose bridge and high cheeks. I'd always end up with my glasses sliding down every few minutes or SECONDS, no exaggeration, and then of course the bottom of the glasses always sat on my cheeks leaving dents on my skin and caking up makeup on my cheeks. Not attractive. But these glasses in the alternate fit don't slide as much and the bottom of the frames are actually up a little in the air, not sitting directly on my face. One star off only because when I smile, my cheeks still touch the bottom of the frames occasionally, but I would still buy them again! These were a perfect fit, light weight and great style,. Bought the alternate fit Erika. 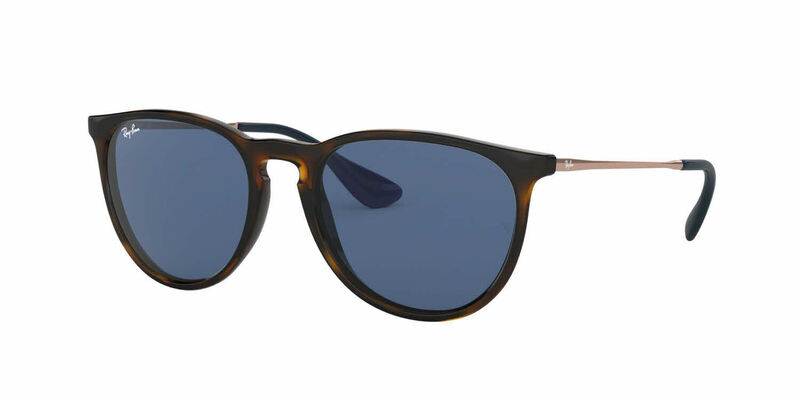 Awesome sunglasses, lenses were perfect as expected with quality Ray-Ban optics. Love the sunglasses I just received from FramesDirect.com. The colors of the lens and frame are great, and I love that they are polarized. Definitely recommend them! Really enjoying these sunglasses! Love the style and the fact that they are polarized. Great look, a bit looser fit than I expected but still pleased overall.